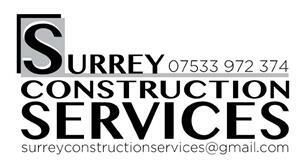 Surrey Construction Services Ltd - Bathrooms, Bedrooms, Builder, Kitchens based in Warlingham, Surrey. At surrey construction services we pride ourselves as a close knit growing team that values building solid, transparent relationships with our clients. We strive to deliver excellent standards though our work no matter how small or big a project is we strive for consistency and value in every job, we are also safe contractor approved. With offices based in surrey we have an excellent understanding of the area including London. With free quotations and flexibility around your schedule for consultations, you can get in touch to discuss cost effective solutions to start your dream project. We can take the stress out the process for you to enjoy the experience.